As Laura Bulluck, the founder of Hope’s Crossing has noted, “Our criminal justice system is too often a people-moving machine. It is an impersonal assembly line which can sometimes make lives worse.” Mimi, however, was able to jump off of the assembly line. Mimi has been arrested numerous times, the first time for shoplifting and later for drug abuse. She hit bottom when she was arrested for driving on a combination of painkillers and meth, having just come from shoplifting. The worst part, though, was that her two baby daughters were in the back seat. She went to jail, came out, started using again. Upon finding out her mother had cancer, Mimi lost all sense of self-awareness. She had no feelings. She lost her daughters to child protective services, so now what was the point of trying? Mimi hit bottom at Thanksgiving when she found she had no real family. Her drug friends were not her family. She had nowhere to turn. When you have no hope, you have no fear, so Mimi broke her probation and headed to a supportive sister in Nebraska, where she got a job and successfully completed a four-month drug rehab program. Still, her life wasn’t right. She returned to Arizona to reunite with her family and children and turned herself in. Already in trouble with the probation officers, owing them unpaid fees and fines, she was encouraged to enter a government-mandated program which she would have to pay $35 per day to complete. “Yo,” said Mimi. “I’m a drug addict! Where do you think I’m going to get all this money?” Having met a woman in the free Hope’s Crossing program, Mimi petitioned the government to let her enroll there as an alternative. Hope’s Crossing turned out to be the way forward. At Hope’s Crossing, people listened. Mimi didn’t need to simply identify herself as an addict; she identified herself as what she would become. Since Hope’s Crossing was her choice and not a mandatory program, she has taken ownership of her progress there. For Mimi, bucking the system was the only way forward. 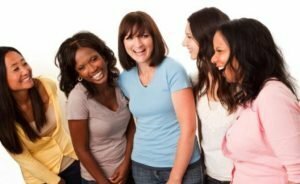 For many women who have hit bottom, have lost their children, have no sense of hope, a program where they connect with other women, feel valued, feel spiritual and do the hard work of change in a supportive environment is the only way to break out of a cycle of self-abuse and incarceration. Women benefit from enrolling in Hope’s Crossing not only after release but also through any type of trauma, whether it be homelessness, an abusive environment or chronic unemployment. In addition, Hope’s Crossing is currently endeavoring to provide a holistic, healing alternative to incarceration as well. Mimi is completing her probation and pursuing an education. Her daughters were adopted by her brother, and she hopes to reunite with them soon. As a Hope’s Crossing alum, she gives encouragement to other women struggling through similar crises. After 2 years of participating with Hope’s Crossing, Mimi has enrolled in GED tutoring class and plans to obtain her GED in 2017. During the summer of 2016, after 2 years of not being allowed to see her children, Mimi has reunited with her children and is now spending time with her children on a weekly basis. Mimi has reacquired her driver’s license after is being suspended for over 3 years. Additionally, Mimi has purchased a car and is fully insured. In the summer of 2016, defying the barriers often faced by ex-offenders, Mimi was able to move into independent living; securing her own apartment. Even more amazing, Mimi has developed a payment schedule and paid off all fines and fees imposed upon her after her final stay in the jail system. Mimi’s attributes all of her success to Hope’s Crossing assisting her in the development of the initial Personal Transition Plan and the Fundamentals of Freedom.